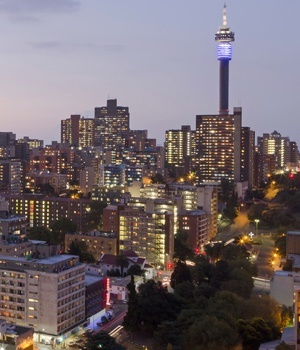 More than 14 million people live in South Africa’s economic hub, the Gauteng City-Region. That’s 25% of the country’s population. A lot of media reporting and public discussion about Gauteng is negative. Service delivery protests are common, high crime rates worry residents and the province’s economy is under pressure. These challenges are real, and play a big role in people’s lives. But new research from the Gauteng City-Region Observatory (GCRO) suggests there’s a more nuanced story to tell about Gauteng. Data collected for the observatory’s fifth Quality of Life survey (2017/18) reveal that, in many ways, Gauteng residents’ lives are improving. Overall quality of life in Gauteng is getting better. An index based on the data, measuring quality of life out of 10, has climbed slowly but steadily since 2011. In addition, in this survey people showed greater tolerance, as well as a much stronger sense of community. The GCRO is an independent research organisation, which generates data and analysis to help inform development and decision making in the Gauteng City-Region. It is a partnership between the provincial government, organised local government, the University of the Witwatersrand, and the University of Johannesburg. The survey involved 24 889 adult residents of Gauteng, with a minimum of 30 respondents in each of the province’s 529 wards. The latest survey collected a wealth of complex data. Respondents answered more than 240 questions, about a third of which were unchanged from previous iterations of the survey. In this way, we are able to gain insights into how the province has changed over time – and can see that there have been significant, often positive shifts in how people view the quality of their lives. Of course, problems remain: more respondents report experiencing crime, and a growing proportion don’t believe that trust is possible across race groups. The latest data offer a vital resource for understanding Gauteng’s multi-faceted challenges. It is also a useful way for the government, policy makers, academics, civil society and ordinary people to start coming up with creative solutions. The research measures quality of life by more than just material factors like household income and access to basic services. As with similar major international projects, less material, more subjective factors – opinions and feelings about governance, community, family and individual well-being– are also considered. A total of 58 variables were selected to generate an overall Quality of Life index. These covered ten dimensions: global life satisfaction, family, community, health, dwelling, infrastructure, connectivity, work, security and socio-political attitudes. This index provides a simple but strongly multi-dimensional score out of 10, where “0” indicates lowest quality of life and “10” the highest quality of life. Gauteng’s Quality of Life index score has shown sustained improvement over the past four iterations of the survey. It has risen from 6.02 in 2011 to 6.30 in 2017/18. This suggests that overall quality of life in Gauteng is improving over time. The proportion of respondents who participated in a protest in the previous year has doubled from 4% in 2013/14 to 8% in 2017/18. A quarter of respondents reported protest in their community in the past year. Of these protests, 90% involved some form of violence. Most were related to frustrations around service provision - particularly electricity. A quarter of all respondents were victims of crime in the past year. That’s an increase from one in five in 2015/16. Additionally, 44% of respondents felt crime in their area had worsened over the past year, up from 41% in 2015/16. Despite these negative results, 81% of respondents reported feeling safe in their homes, an encouraging rise from 75% in 2015/16. The proportion of respondents who felt that crime was the biggest problem in their community dropped from 37% in 2015/16, to 32% in 2017/18. Meanwhile, national economic challenges and growing inequality also affected Gauteng’s residents. Satisfaction with the government’s efforts to grow the economy dropped to 19% (2017/18) from an already low 23% in 2015/16. Nearly one in four respondents lived in a household where someone – an adult or a child – had skipped a meal in the past year because there wasn’t enough money for food. This is a substantial increase over previous years, and one felt disproportionately by the province’s poorest residents. Satisfaction with government itself, and basic services like water, sanitation and energy, had increased since 2015/16. However, satisfaction with key social services had fallen. For instance, 65% of those who used public health care were satisfied with the services they received in 2015/16. This dropped to 57% in 2017/18. In terms of public education, 9% of respondents with school-going children reported that they had no local public school. Of respondents who did have local public schools, 75% reported that they were satisfied with them. Positive trends included respondents being substantially more trusting of their communities. Tolerant attitudes are spreading: the proportion of respondents who believed violence towards gays and lesbians is acceptable has dropped to 6% from 14% in 2015/16. The proportion who believed all foreigners should be sent home has dropped from 23% to 17%. This is particularly encouraging given the province’s history of xenophobic violence. However, a greater proportion of respondents believed that black people and white people would never trust each other – up from 58% (2015/16) to 64% (2017/8). Inequality is one area that needs to be examined: life appears to be improving most rapidly for the more advantaged members of society. White people, and individuals with high incomes, have the highest quality of life – and their quality of life appears to be improving most rapidly. Multi-sectoral work is needed to tackle this and other issues, and to ensure that Gauteng offers a good life to everyone who calls it home.